Invest through an ISA, SIPP, Investment Account or Junior ISA from as little as £50 per month. 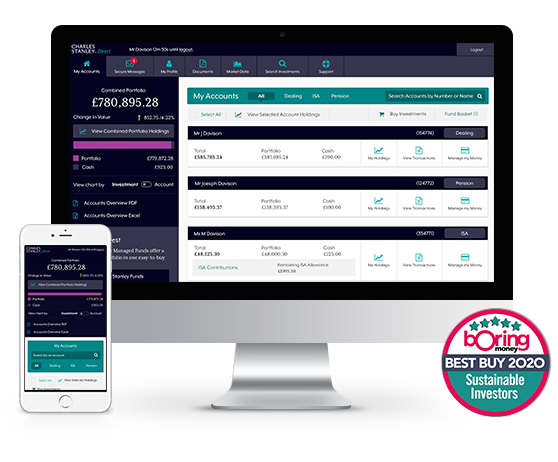 You could hold an unlimited sized portfolio of UK shares for just £138 per annum by executing one chargeable trade per month. See our Rates & Charges here. Generate ideas for your own research with the Foundation Fundlist, our preferred investments across the major sectors. 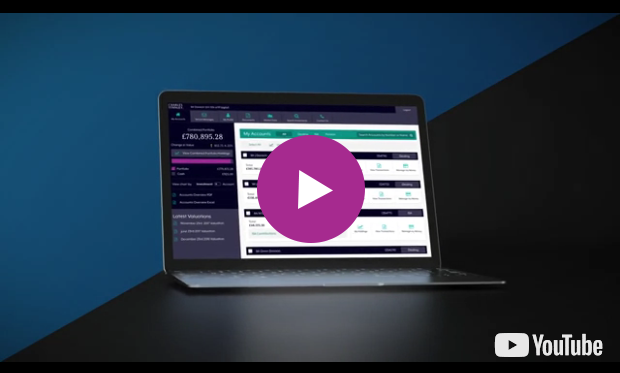 'DIY' investors are free to choose from the exceptionally broad range of investments we have available: 3000 funds, UK and certain overseas shares, gilts, bonds, investment trusts and ETFs. For fund investors looking for ideas for their own research we offer the Foundation Fundlist, our list of preferred investments across the major sectors carefully selected by our highly-regarded investment team. Covering both funds and investment trusts, including passive funds or trackers as well as actively managed funds, the list is regularly reviewed. Get started quickly, plus benefit from our low cost investment platform and fund research with our simple Foundation Portfolios. Each of our Foundation Portfolios features a range of funds selected from the Foundation Fundlist. These are simple, economical 'starter' portfolios that may be suitable for various broad categories of investor, or a core around which other funds can be added. The portfolios vary according to whether an investor requires growth, income or a bit of both. For each of these objectives there are three different risk levels: Cautious, Balanced, and Adventurous. The resultant portfolio contains five funds we consider to be 'best of breed' in their respective areas, and complement one another in terms of asset type, style and approach. This way risk is spread across various investment classes, geographies and industry sectors. However, the portfolios are not managed and the overall responsibility for selecting and managing the portfolio rests with you. Each portfolio can be purchased as a 'fund basket' through an ISA, Junior ISA, SIPP or Investment Account. Monitored and rebalanced by Charles Stanley experts, each of our Multi Asset funds offer a diversified portfolio in one easy-to-buy investment. Charles Stanley Multi Asset funds are designed to meet different, broad investment needs and risk profiles. Each offers a diverse range of investments in a single fund, actively managed by Charles Stanley's highly-regarded investment team. This means you do not need to monitor and change individual funds, shares or other assets in your portfolio – it's all done for you. Multi asset funds invest in other funds as well as other assets across a variety of areas. Not having all your eggs in one basket means you are not reliant on specific investments or areas performing well and you benefit from Charles Stanley’s investment selection and day-to-day management administered by our highly-regarded investment team. The five funds can be purchased in an ISA, Junior ISA, SIPP or Investment Account with Charles Stanley Direct. Join us for an exclusive Investor Evening where you will have the opportunity to hear directly from three of J.P. Morgan’s most experienced investment teams. Download our App for a quick biometric login to monitor your accounts on the go, buy Charles Stanley Funds or over 3000 funds from leading fund houses. Open and/or transfer to take advantage of low-cost tax-free investing, contribute up to £20,000 per tax year. Open and/or transfer pensions into our low-cost SIPP account and benefit from tax relief on your contributions and tax free investing. Start building a portfolio of funds and shares or transfer and consolidate any existing holdings. Give your children a financial head start with our JISA. Shelter up to £4,368 this tax year from further tax. We are the consumer champion on pricing and were the first UK platform to aggressively cut charges. Our low platform fee starts at 0.35% and tiers sharply through a highly competitive Loyalty Programme. We are totally committed to our Apps and throughout 2019 will be introducing incredible features that will make your investment journey with us smoother, faster and more intuitive. Our great team is based in Edinburgh, highly trained and ready to support you in any way they can from account opening through to detailed account queries. When you invest through Charles Stanley Direct you are investing through an award-winning FCA authorised and regulated company that adheres to the highest standards of professionalism. We have a policy of not filling your inbox with endless emails. We communicate investment and fund research articles in our News & Research section and also via our dedicated Twitter feed: @CStanleyDirect We will also be using the App to show timely reminders and messages. We publish and promote the FCA’s Scam Smart initiative. Please see the FCA ScamSmart page and our dedicated Safety & Security page. If you are new to investing it can seem quite daunting but like many things in life, spending a little time to educate yourself makes it possible to take control of your finances. Get started with our Guide to Investing written by our in-house investment team. Showing you the information you care about up front with a summary of all your accounts and much-simplified navigation to give you the very best web experience on desktop and mobile devices.